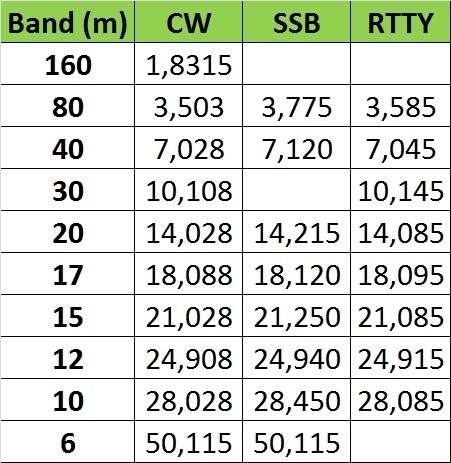 To prevent interference with other DXpeditions we tried to establish a frequency tabel that included our core frequencies in the different modes. Not always other Dxpeditons can be heard by us so please respect their frequencies also. In most cases we will work split. Please listen to the information from the operator. Because of band activity or local noise we might deviate from the above frequencies. Please listen carefully and look for us at the cluster.